The red and black ants are Formica Subintegra, the black princess is a different type of Formica. 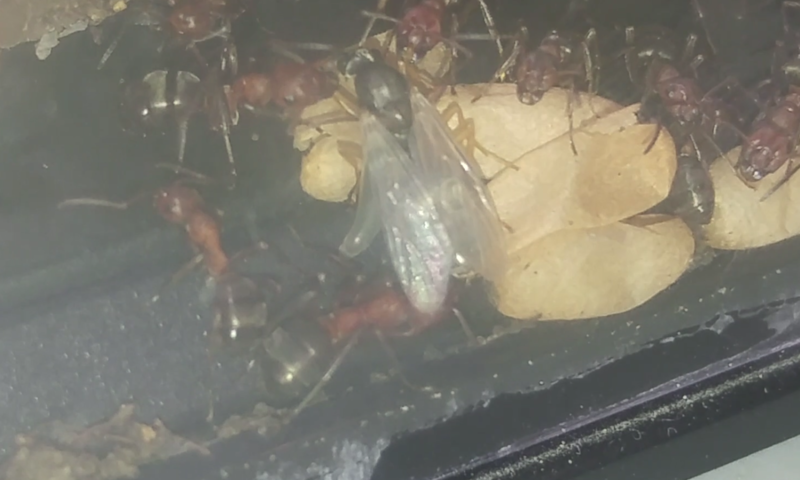 I gave them pupae from another colony and they adopted them, most the pupae were princesses (so far). As you can see in the picture there is a tube like object under the princesses wings. I'm really confused and could use some help.